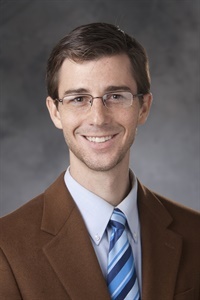 Dr. Jason Nieuwsma is a clinical psychologist who is an Associate Professor in the Department of Psychiatry and Behavioral Sciences at Duke University Medical Center and who serves as the Associate Director for VA Mental Health and Chaplaincy. His work focuses on increasing the availability and cultural relevance of evidence-based psychosocial approaches across various contexts, with areas of expertise in health psychology, cross-cultural psychology, dissemination and implementation science, and spirituality and health. In recent years, Dr. Nieuwsma has helped to lead multiple national-level projects aimed at more effectively integrating chaplaincy and mental health care services.